This hidden tang spear point design is called the "Cossack Fighter". 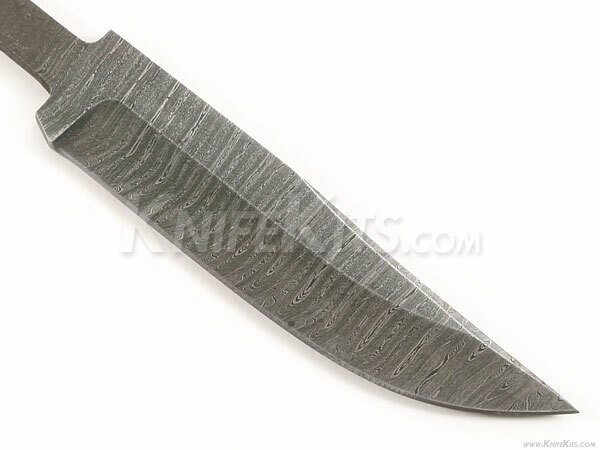 It is a Russian Made carbon steel damascus fixed blade that is hollow-ground and ready to build. This model will make a great personal knife for the DIY builder. It also serves well as a collectible gift project. This model is expertly designed and well made. With a blade length of 4-3/4" and an overall length of 7-1/2 inches, this design is a perfect carry size. 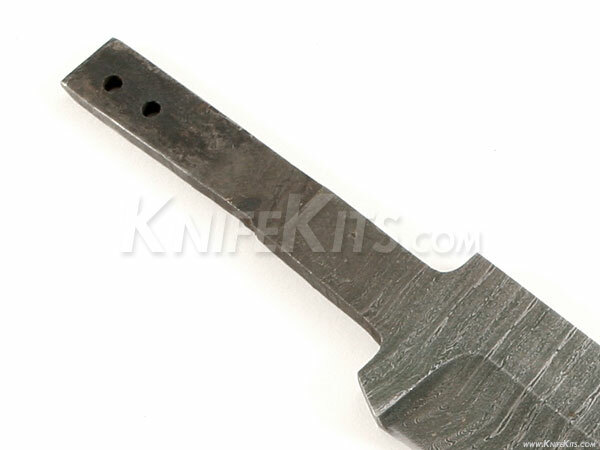 Hollow ground on both sides, the Cossack Fighter's blade is 1.125" wide with a .195" thickness. This design features (2) .125" through-holes for handle construction. The tang holes can be modified with ease to work with larger pinstock, or with a threaded fastener. Please see our drills and taps sections for more options.